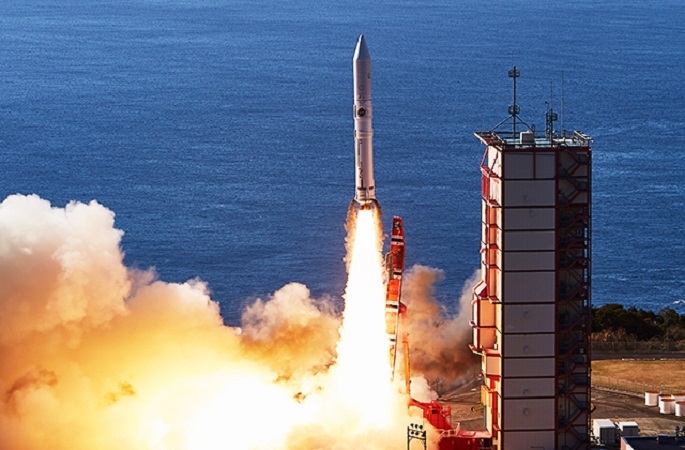 “RAPIS-1” (RAPid Innovative payload demonstration Satellite 1), a small satellite commissioned by Japan’s space agency JAXA and designed and operated by newspace startup Axelspace was successfully launched from the Uchinoura Space Center in Kagoshima Prefecture, Japan at 9:50 AM of January 18th, 2019. The 200-kg satellite was launched by JAXA’s light launch vehicle, Epsilon-4, along with six other microsatellites and cubesats. The successful separation of RAPIS-1 was confirmed about 50 minutes after launch. RAPIS-1 is part of JAXA’s Innovative Satellite Technology Demonstration Program, an initiative to provide in-orbit validation opportunities to external entities, with the objective of strengthening the technologies behind core satellite components. The Japanese Government’s space program has scheduled four demonstration launch opportunities, one every two years. This launch represents the first of these four and is termed “Innovative Satellite Technology Demonstration-1”, and carries seven demonstration experiments. So far, the RAPIS-1’s critical operation phase has been passed, and the satellite has begun performing check-out operations on all the on-board components which is likely to last a month. After that, the nominal operation phase will begin and the seven experimental instruments will begin performing in-orbit tests. NEXUS, a 1U cubesat for amateur radio, designed at Nihon University in collaboration with Japan AMSAT Association (JAMSAT). Next articleChina’s seeds have sprouted on the Moon!